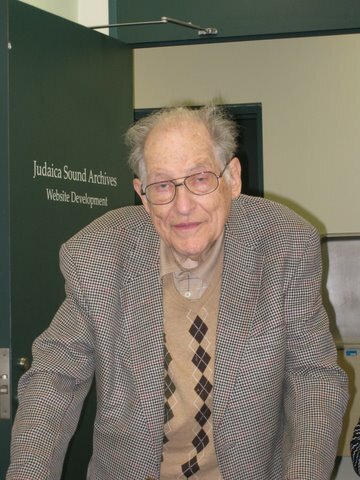 After Jack Saul died in May 2009, Nathan Tinanoff of the Judaica Sound Archives was called to the Sauls’ home in Cleveland. 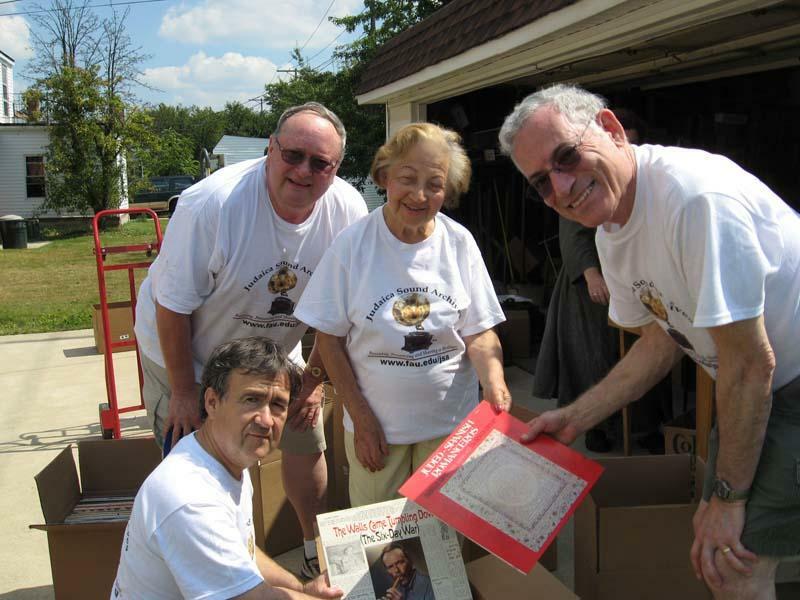 The Saul family wanted to donate the Judaica portion of Jack’s huge collection of sound recordings to the JSA. Although Nat had spoken with Jack Saul several times over the years and had been told by many people of his incredible collection of recordings, he was still unprepared for what he found. The small suburban bungalow was unremarkable. But what was inside was remarkable indeed! 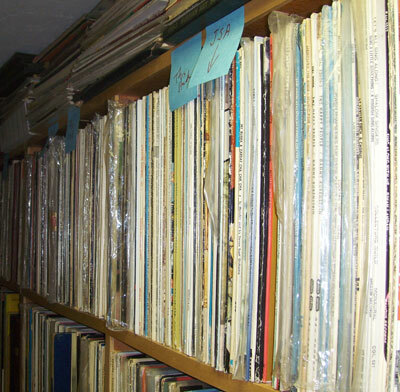 What Nat saw were stacks of records! 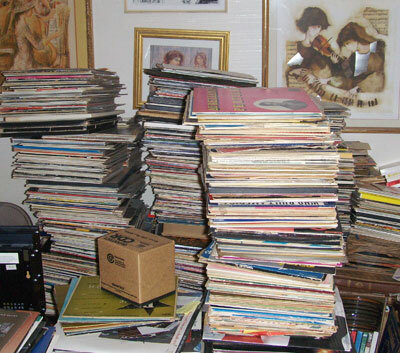 Stacks of records in the living room. 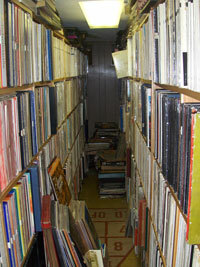 Stacks of records in the basement. 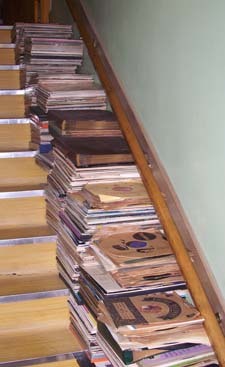 Stacks of records on the stairs. Stacks of records on the dining room table. 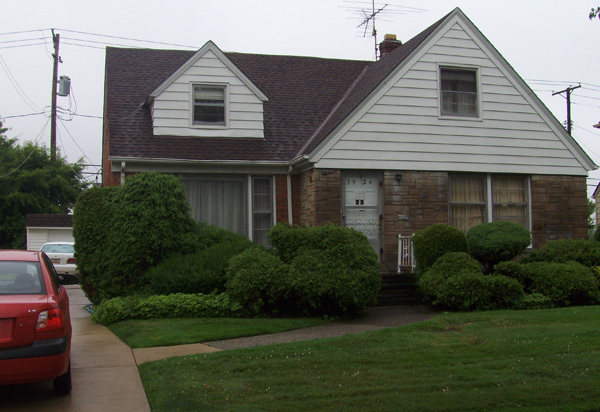 The house was literally jam-packed with phonograph recordings, tapes, and CDs. The first task that Nat faced was to locate the Judaica recordings. He was able to identify over 12,000 recordings that could be added to the archives. But there were other treasures that he discovered. For example, he found tens of thousands of 78 rpm phonograph recordings that were in mint condition. Even though they weren’t Judaica, he knew they were important. When Nat returned to Florida he and Dr. William Miller (Dean of FAU Libraries) had a talk. 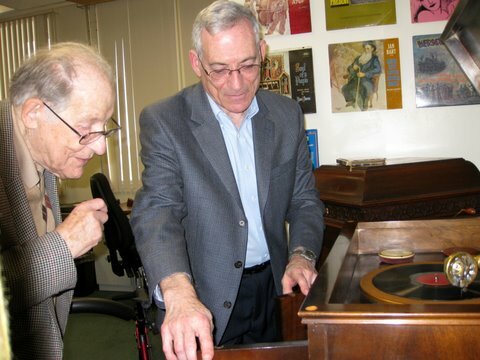 Dr. Miller agreed that the collection of 78 rpm recordings were just too rare and valuable to be left behind. Dr. Miller decided to bring those records to FAU Libraries to start a new collection of vintage phonograph recordings at the Wimberly Library.